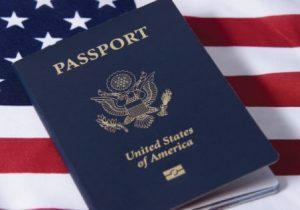 The Essex Library is now accepting passport applications on behalf of the U.S. Department of State. In over 3 weeks time – Apply at the Essex Library by appointment only. Appointments can be made by calling 860-767-1560 and asking for either Emily or Anna. If you cannot make an appointment with us, check the passport acceptance facilities page to find other locations in the area. In less than 3 weeks – Please check where to apply. Before scheduling an appointment, we suggest you visit the only official website for up-to-date passport and international travel information: travel.state.gov. This site will help you locate application forms, information on required documentation, fees, and a wealth of other information. Application forms can be obtained online or at the Essex Library. Form DS-11 must be filled out before your appointment; do not sign it however, until instructed by the Passport Agent during your appointment. If the person applying for a passport is under 17, had their previous passport lost or stolen, or meets other special circumstances, he or she may have to meet additional requirements. Please visit the Apply for a Passport in Person page to see if these circumstances apply for you. Please bring one photo with you which meets the current photo requirements. The Essex Library does not provide photography services. CVS, Walmart or AAA in Old Saybrook may be able to help. a. Application Fee: A check or money order is required for passport application fees which must be paid directly to the “U.S. Department of State.” A separate check or money order is required for each applicant. Total fees will vary depending on the age of the applicant and whether expedited services are requested. Check the Passport Fees page to calculate your passport application fees. For more information and questions concerning each requirement, please refer to the Apply for a Passport in Person page. All passport applicants under 16 must apply in person. Both parents/guardians must authorize the issuance of the child’s passport. The best way to do this is for both parents/guardians to accompany the child when applying for the passport. For more information about requirements, please visit the Children Under 16 page. Applicants aged 16 – 17 must apply in person. It is strongly recommended that at least one parent accompany the applicant. For more information about requirements, please visit the Applicants Age 16 and 17 page. Please check the U.S. Department of State Renew by Mail page to determine if you should renew your passport by mail and instructions for doing so. If you are not eligible, you may be able to apply for a passport in person at the Essex Library; please call Emily or Anna at (860) 767-1560 to schedule your appointment. Please call the Essex Library at 860-767-1560 and ask for either Emily or Anna. 1. Check whether you are eligible to apply for a passport in person at the Essex Library. 2. Check current passport processing times to determine how long it will take to receive your passport. 3. Determine passport fees for the cost of obtaining your passport. 4. Print the Essex Library’s helpful passport application checklist for required identification, documentation, and fees.